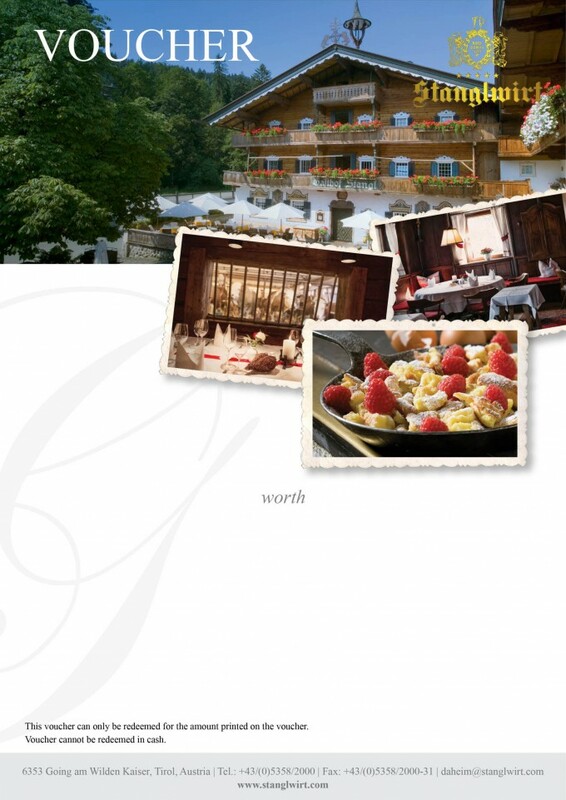 Your holiday at the Stanglwirt will be a real feast for your senses when it comes to food. In our 400-year-old Gasthof Stanglwirt, you can experience some authentic Tyrolean traditions in a historic ambience, along with tasty regional delicacies and specialities. For a light snack, you&apos;ll find treats large and small to suit all tastes that you can enjoy by the open fire in the cosy Kamin Bistro. Here we also serve healthy delicacies from our show kitchen. You&apos;ll love our fine Stanglwirt wine list too. And by the way: for an even wider range of delicious drinks and cocktails, why not try the "Auf der Tenne" hotel bar, where you&apos;ll find a great atmosphere in which to enjoy good company both during the day and in the evenings, and you also have a clear view of our indoor Lipizzaner riding arena.